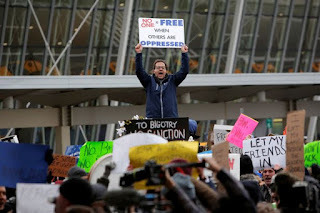 After President Trump signed an executive order enforcing extreme vetting of people from nations the Obama administration identified as harboring terrorists, protests have broken out. About 109 of a hundred thousand were detailed in airports around the United States due to the new vetting process. They were interrogated, papers verified and later released. The amount of time they were detained is said to have been three hours. Many took to the airports, Battery Park in Manhattan and Copley Square in Boston to protect the executive order calling it hateful. 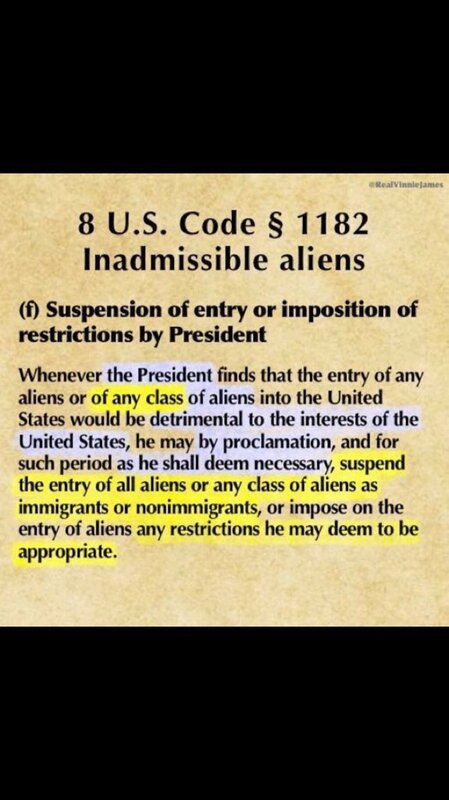 They claim that the executive order is a ban on Muslims despite the order not stating this. The claim comes from Trump's words during the election season where he called for a ban on all Muslims until "we can figure out what the hell is going on." 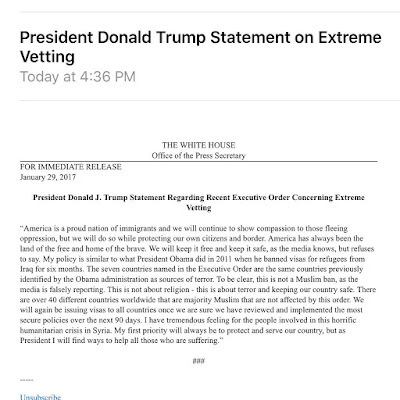 However, this executive order is not a ban of any sort. 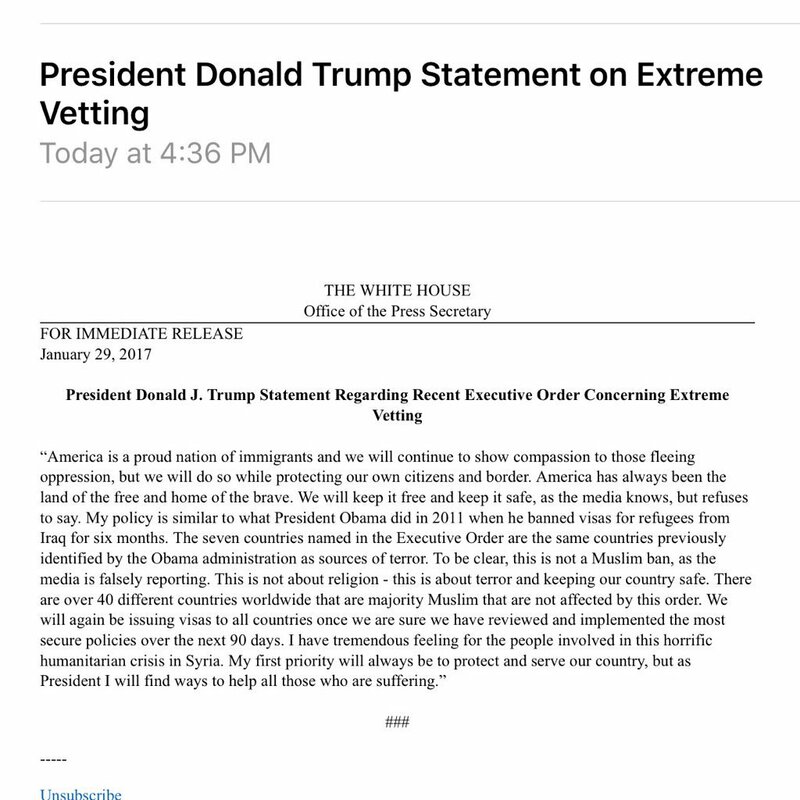 It is simply an extreme vetting order. 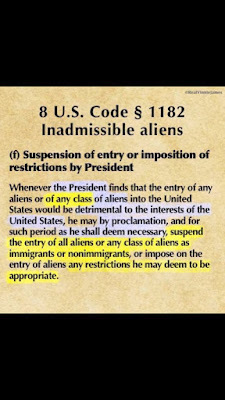 The president has an obligation to protect the nation under the Constitution, Immigration Act of 1952 and 8 U.S. Code § 1182 - Inadmissible aliens. 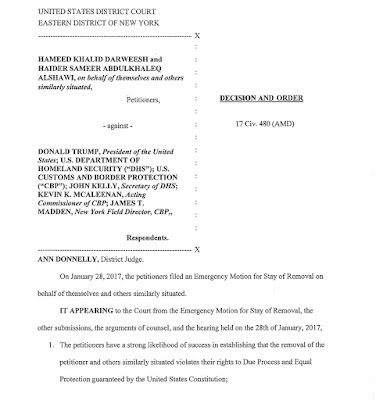 Despite this, the ACLU won a temporary stay after bringing the case to court before Judge Ann Donnelly, an Obama appointed judge. President Trump issued a statement reiterating that the executive order does not ban any Muslim and has nothing to do with religion. It seems that those who are still angry at Clinton's loss are still trying to grind their ax. 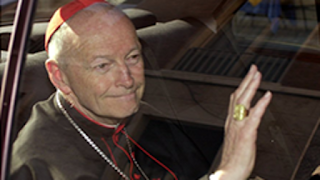 Some in the Catholic Church are attacking President Trump over this despite the Catholic Church teaching that leaders have a right to protect their nations. 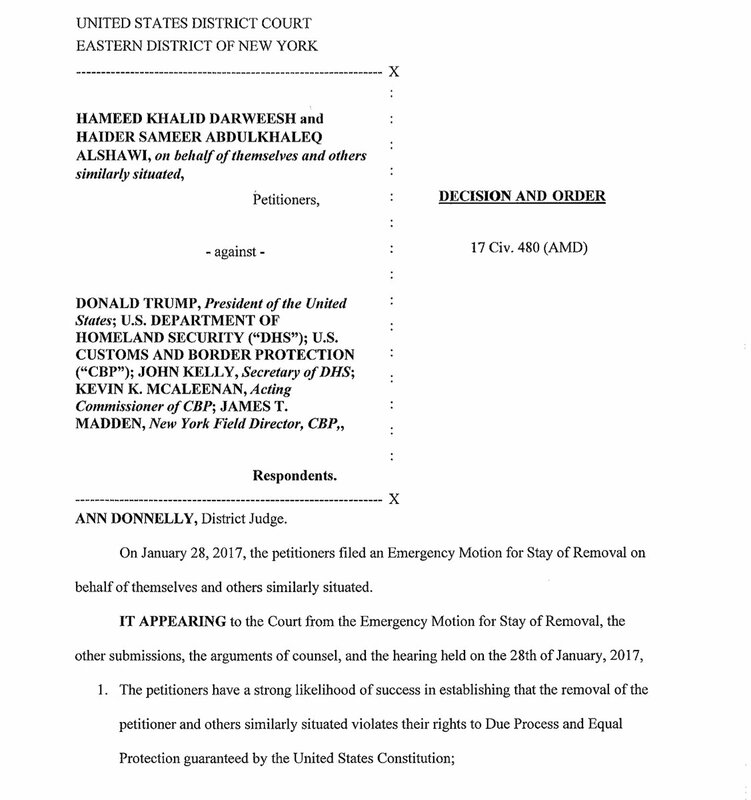 BREAKING: @ACLU has won a temporary stay in the #MuslimBan, halting detention of green card holders. 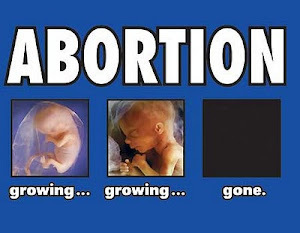 Details still emerging.